Rancho Cordova, CA. February 13, 2012. The California Optometric Association House of Delegates passed a resolution stating their support for the inclusion of stand-alone vision plans in California's Insurance Exchange. This vote sends a clear message that California doctors feel strongly about this issue. "The California Optometric Association supports stand-alone vision plans having the ability to participate in the Exchange," said Movses D'Janbatian, O.D., President, California Optometric Association. “Stand alone plans provide access for patients to continue seeing their optometrist for eyecare, and can be a valuable channel to make sure optometrists are fully integrated as the primary providers for patients’ vision and medical eyecare. We will continue to work with these plans to ensure doctors don’t lose their patients." California lawmakers will be finalizing key elements of the state’s Insurance Exchange in the coming months and both the California Optometric Association and VSP Vision Care will together ensure optometry is well represented in this newly emerging system so that millions of Californians are able to keep their eye doctor. Established in 1899, the California Optometric Association is California's oldest organized community for optometrists. Representing optometrists throughout the state, COA is dedicated to ensuring the highest quality of health care for the public through the advancement of optometry. Learn more at www.coavision.org, www.Facebook.com/CaliforniaOptometric and www.Twitter.com/COA_Vision. 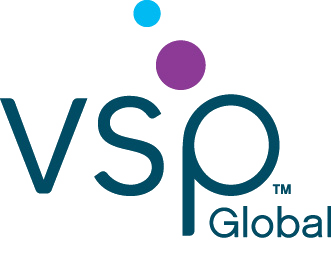 VSP Vision Care is the largest not-for-profit vision benefits and services company in the United States with 57 million members. To date, through VSP community outreach programs such as VSP Mobile Eyes® and Sight for Students®, and through relationships including those with the American Red Cross and Prevent Blindness America, VSP has invested more than $142 million in free eyecare and eyewear for nearly 745,000 adults and children in need throughout the United States.